Save.ca has a new coupon for dog owners! 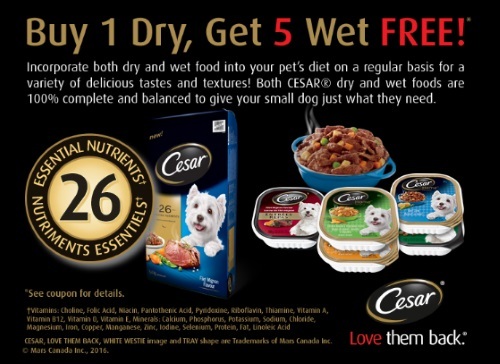 When you buy Cesar Dry dog food you can get 5 Cesar Free Wet Food Trays for Free (100g any variety). This is a print or mail coupon, available for a limited time. This coupon is also available in the Walmart coupon portal (if you want to get a second one there).